It’s designed for use without nail polish (it’s neither a base coat or a top coat) and is formulated with nourishing ingredients including Hyaluronic Acid and Vitamin C; their inclusion supposedly helps to protect your nails look both in the short and long term. The formula contains glass microspheres to give the nails a natural radiance and chip-fighting finish, the overall result being healthier looking nail beds. There’s even the inclusion of UV protection, helping to product nails from turning brittle and ageing when exposed to the elements; this is very much a skincare product reformulated to target an area of the body often rejected. The result on the nail is really quite nice, providing a subtle peach tint that helps to minimise imperfections and discolouration. It’s extremely thin, meaning your nails still feel as if their au naturel even when they’re not, and dries within seconds to leave a fab looking nail. Although I was quite dubious, this is a great little product that helps your naked nail to look a little bit better without the need for endless lotions and potions. It’s pleasant to apply, makes nails look and feel fab, plus has added benefits to keep them looking great in the long term… (They always say the key to a woman’s real age is in her hands, so anything that prevents them ageing is surely a good thing!) Although this is £15.00 a bottle and you can probably get a peach tinted polish for much cheaper, what you’re paying for is the expertise and long-term results – not unlike investing in a serum or moisturiser. Right now you can even get a free bottle of Orly Argan Cuticle Oil (worth £15.95) if you buy online, helping your nails to look even healthier. What do you think of this latest innovation for nails? 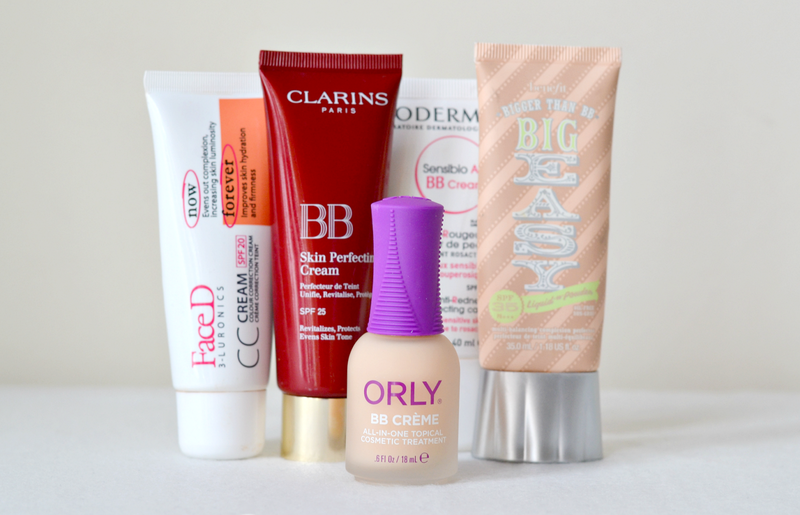 Do you buy into the idea of BB Cream for your talons, or do you think it’s a step too far? I don't know what to think about this product, but i'll probably try it..